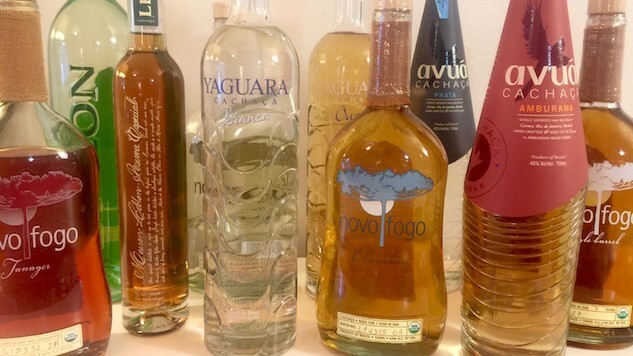 Brazil is responsible for a good number of cultural contributions to the world (see: Brazilian-cut bikinis), but maybe the greatest is cachaça, a rum-like spirit made from pure sugarcane. Until recently, 99% of cachaça has been consumed inside Brazilian borders, but thanks to some international diplomacy between the U.S. and Brazil, cachaça is becoming more available in the U.S. (we’re sending them some bourbon in return). And here’s the best part: we’re starting to see some really great cachaça wash up on our shores—small batch, thoughtfully made spirits that have been aged for years in oak and native Brazilian woods, that can give our beloved bourbon a run for its money. If you’ve had cachaça before, you’ve probably had the un-aged stuff used as the base of a caipirinha. It’s a fine drink. I recommend you knocking back your share while watching the Olympics over the next several days. But stick with un-aged, silver cachaça for those mixed drinks. The aged cachaças that follow are built for sipping. 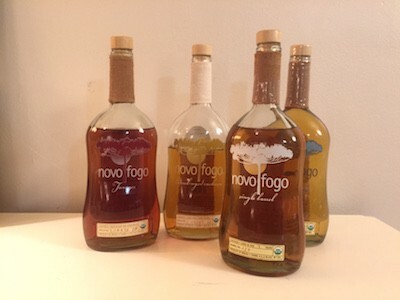 Novo Fogo has a bunch of different expressions, from an un-aged silver to a well aged single barrel. I could do an entire article about the nuances of each bottle, but I’ll stick with my two favorites: the Single Barrel and the Tanager. The Single Barrel is aged for seven years in oak barrels and is like drinking silk. Smoky, earthy, sweet silk There’s a little bit of fruit in the nose (banana, I think), and a mild sweetness dominates the entire sip. Mostly, it’s vanilla. Put it on ice and you might as well be pulling from a cup of ice cream. This hooch could give bourbon a run for its money. The Tanager is completely different, but maybe even better. It’s aged in oak and zebra wood. I don’t know what zebra wood is, but I’m intrigued, because it has a powerful affect on this booze. The Tanager has more of an earthy nose than the Single Barrel, and more tannins on the sip. It’s less sweet, more astringent, with an enticing element of tobacco. It pours the darkest of them all. There’s a mild salinity to it as well. Overall, it’s a more serious booze. It’s just as tasty as the Single Barrel, but there’s no pandering. The sweetness isn’t given away. You have to work for it. It becomes more accommodating when you drop ice into the glass—sweeter and less complex. But I say drink this one neat and revel in its complexity.